If you’re disturbed by the increasing chaos, disasters and violence playing out on the world stage, this book will help you understand why this is all happening. It will introduce you to a world that may sound like science fiction or conspiracy theory–but becomes a fascinating story difficult to dispute or deny, as it finally makes sense of what is happening. The “story” presented here is largely based on information revealed by increasing numbers of courageous whistle-blowers from within the military, intelligence communities and researchers who are speaking truths long kept secret from the public. It becomes clear that humanity has actually been controlled for thousands of years in insidious ways most people are unaware of. And that there is a battle currently being waged for humanity’s liberation from this control. 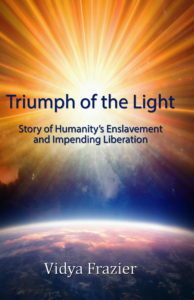 Triumph of the Light may lead you to question your beliefs, your conditioning, and what you’ve believed to be true about the world and humanity’s history. Although disturbing in many ways, what’s offered here is also exciting and uplifting, as the author gives great hope for our future. It becomes clear that, even with all that is now occurring, humanity is actually on the verge of an incredible leap in consciousness into a state of much greater freedom, harmony, justice and spiritual awakening. 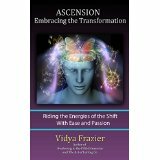 ASCENSION – Embracing the Transformation is the second book on the subject of Ascension written by Vidya, following a year and a half after the publishing of Awakening to the Fifth Dimension. This book is a comprehensive report of what Vidya has witnessed happening in the last few years for the many people she knows and works with who are consciously on the Ascension path. She also shares in this book details about her own journey, along with practical and effective suggestions on how to surf the crest of the Ascension wave—both its challenges and its exciting, yet sometimes confusing, shifts and openings. She has found that many people at this point are feeling disoriented, discouraged or stuck, not understanding how to proceed in their lives due to so much change and the many challenges they are facing. Some people are also shifting rapidly into higher consciousness and are not quite sure how to navigate their way into the unknown territory that lies ahead of them. No matter where you may be on your own Ascension journey, this book will guide you through many of the challenges you may be encountering and explain to you why they are happening. It will also guide you in creating a life in which you are operating more and more from a fifth-dimensional consciousness. Get your copy now through Amazon. Comes both in paperback and as an ebook. Feeling a strange sense of disorientation in your world? Or an increasing need to adapt to change very quickly? Perhaps a loss of old relationships or a disturbing lack of passion about your life? How about fascinating new openings in consciousness? Profound experiences of love and joy that seem to arise out of nowhere? Or the awakening of exciting new spiritual abilities? 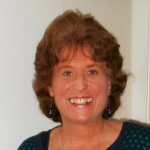 In her book, Awakening to the Fifth Dimension, Vidya Frazier clearly describes this global event in terms of a dimensional shift—a monumental collective movement to a higher level of consciousness known as the Fifth Dimension. She also explains how those who are currently riding the waves of Ascension into this new dimension are experiencing profound changes that can be both wondrous and confusing—and sometimes tumultuous. She describes how we can navigate these changes with both ease and grace. If you have intuitively known about the Shift and the process of ascension—but have found it difficult to speak about it to others—this book will help you describe it in clear and heartful terms. “In this book, Vidya demystifies the confusing concept of enlightenment. Speaking with deep and compassionate understanding of human suffering, she lays out a pathway to spiritual freedom that is simple and practical, yet profoundly powerful. “Gently, she encourages us to let go of our mistaken identity with our ego and points consistently to our true self that is already free, here and now, living in peace and harmony with all that is. Spiritual teachings can have a way of sounding like pronouncements from a mountaintop, disembodied, immutable and teflon-coated. They often need translation into the language of everyday people and everyday life in order to connect. There is, after all, a difference between a spiritual visionary and a spiritual teacher. Of course, both of these gifts can, and do, show up in the same individual, and these are the persons who should be teaching, writing, counseling. 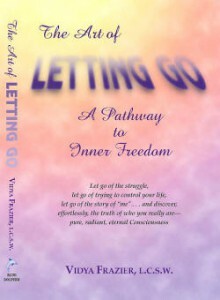 Vidya Frazier’s book, The Art of Letting Go: A Pathway to Inner Freedom (Blue Dolphin Publishing), is an example of what can happen when a transforming experience is allowed to ripen and unfold over time. Her own personal awakening has had time to settle in, and as a result, she speaks with her own voice, calm, assured. As a counselor, she has had plenty of exposure to the knotholes people go through. As a person who has gone through plenty of knotholes herself, she has compassion. Vidya has that kind of understanding, and takes the time to patiently tease out important distinctions: “letting go” has much more to do with accepting what is than with denying and dissociating from ourselves and the situations we find ourselves in; emotions are not the same as feelings; “letting go of your story” doesn’t mean ceasing to have a biography. The Art of Letting Go is a clear-headed and compassionate manual for re-identifying with our essential self. It is written in everyday language, with plenty of personal examples and case histories, and practical, doable exercises for relaxing the internal grip we have on our concepts about ourselves and about life. This is no small thing, because, as Vidya amply points out, these concepts are what keep alive a fundamental misidentification in us. I was relieved that Vidya also acknowledges how difficult “simply letting go” can be, and suggests ways to practice a new set of skills. This book is a great resource for anyone who is ready to get on with the task of learning to identify with their true, eternal self. Sooner or later, we all have to let go—if only at the moment of our death – and open to the bigger, more expansive life that is, and always has been, available to us. And if we have to do it, we may as well make an art of it. To contact Vidya, contact her at vidyaf@yahoo.com. Both of Vidya Frazier’s books are available through Amazon.